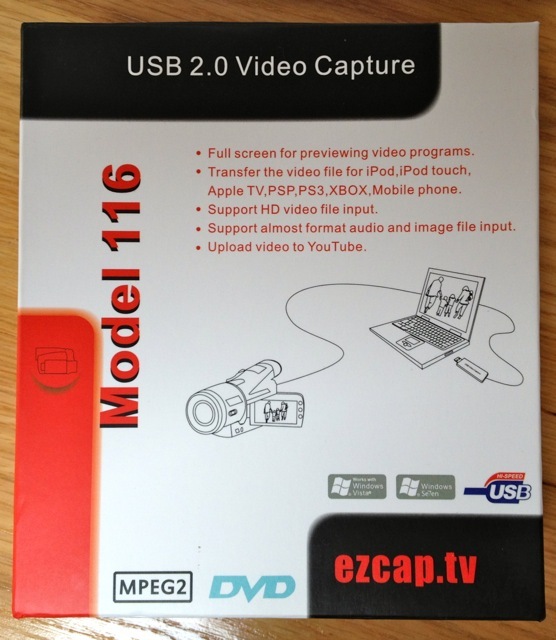 ezcap – Carpe Diem Systems Ltd.
We’ve been using EasyCap USB video capture devices for a while now, but always with mixed results. The main problem has been trying to figure which version we have, which driver to use, and whether Windows 7 64-bit is supported. 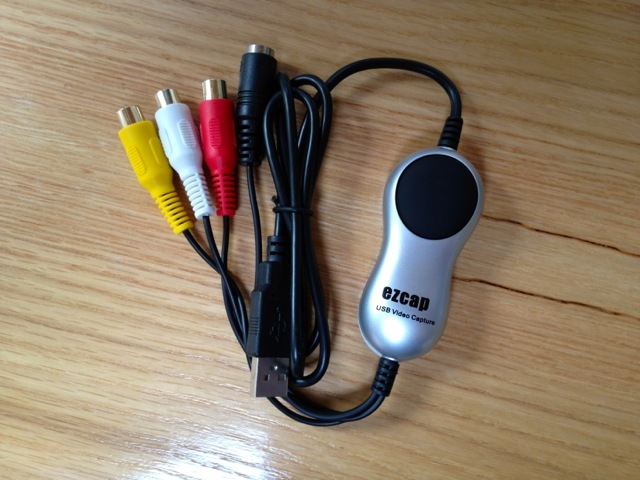 Then we found the official EzCap site which said that there were a lot of fake devices around. 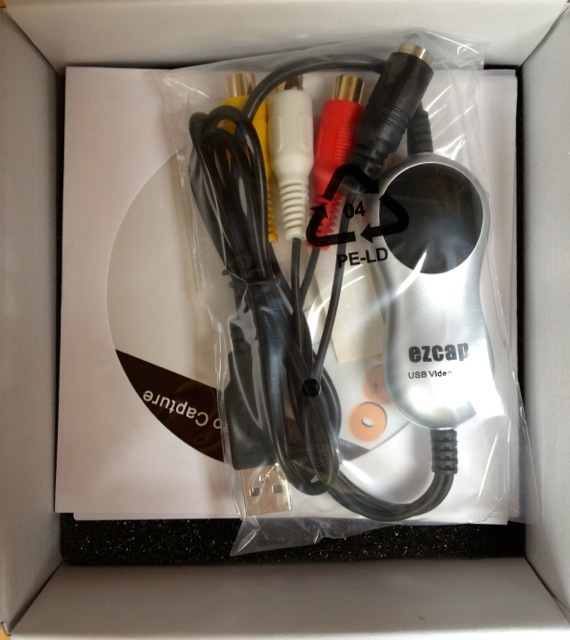 We ordered a new unit directly from the EzCap site. At £19.99 it’s a lot more than most of the other EasyCap devices on Amazon, but it’s explicitly advertised as supporting XP, Vista (yuck!) and Windows 7 32- and 64-bit. Inside is the device, CD-ROM and manual. So far I’ve done a quick install on XP (32-bit) and Windows 7 (64-bit) and it worked first time using AmCap. I only installed the drivers, not the bundled editing software.